← A Time to Die…? Do you know what Spiritual Abuse is? Can you define it? Perhaps more importantly, would you recognise it if you saw it? Would you be able to guard against it for those in your care? The research was carried out by academics at Bournemouth University under Dr Lisa Oakley, who has been the Programme leader for the only undergraduate course in Abuse Studies in the UK based at Manchester Metropolitan University, and as such is the lead academic in this area. The alarming matter though is definition or no definition, nearly two-thirds (1002 out of 1591) of respondents said they had experienced spiritual abuse themselves and yet only a third said that their church or church organisation had a policy that included spiritual abuse. So twice as many people had experienced spiritual abuse than have a policy to recognise and address it! This should concern us greatly in an era when the Church is finally learning about the true scale of the damage it has done (and continues to do) through poor safeguarding practices. The Church it seems now has a choice. It works with those who believe they have been victims of spiritual abuse to understand more about what they have experienced, and therefore how it can make the Church safer for others. I for one would like to see the Church own and champion the issue of Spiritual Abuse, and be a role model to other denominations and religions about how seriously it should be taken. Whilst the Church of England is indeed a few (small) steps ahead of other denominations, mentions of spiritual abuse are still confined to the appendices of reports, and not brought centre stage. I also believe that the government needs to recognise Spiritual Abuse as a formal category of harm – particularly with children – and add it to their current four-fold definition of abuse – physical, sexual, emotional abuse and neglect. What I found chilling about this particular case was the level of fear that was experienced not just by the victim, but by all those who involved with Mr Davis, which appeared to stop them from coming forward. It strikes me that there is one very good indicator that can show us what Spiritual Abuse is – it is where there is paralysing fear, that keeps things hidden and in the dark, and stops people coming forward. This fear is manipulative, dehumanising and totally overpowering – and more often than not the perpetrator is can be completely unaware of the fact that he is creating such a climate, given that he or she may have little self-awareness and/or emotional intelligence. Anyone within the church who seeks to engender fear by coercive control, bullying or overpowering behaviour runs a significant risk of being guilty of Spiritual Abuse, whether they are ordained or not. The challenge to us is that people are often so under the perpetrator’s “spell” and so bound by such fear, that they will rarely come forward of their own accord. It takes a third party to step in. That is, unless we get better at naming those we fear, and looking at why we fear them. So, are there those you know in the church who you fear? I wonder what might lie behind that? 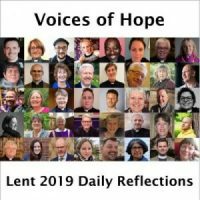 If it is because you fear their wrath or their anger, then can I suggest that you consider talking to someone in authority about it – your archdeacon or your bishop perhaps? Particularly as you may not be the only on, but you may be the only one brave enough to do something about it! This entry was posted in Jayne Ozanne, Sexual abuse, Spiritual Abuse. Bookmark the permalink. 6 Responses to Are You Suffering From Spiritual Abuse? Well said, but make sure you have the support required. Even what should be a short process can turn into years and it’s hard to fight for that long. Support spiritually and mentally is needed and don’t be afraid to ask for it. This is such a broad definition that it could include everyone. Using the scripture to find a justification for apposing abortion, “spiritual abuse.” Using the scripture to find a justification for supporting LGTB people, “spiritual abuse.” The definition is so broad that any attempt to use it would be abusive.